Introduction: From jigs, to punch weights, to glide baits, to drop shot weights, River2Sea products are a staple in our utility boxes when out on the water testing tackle. Today we get to write about one of their products. 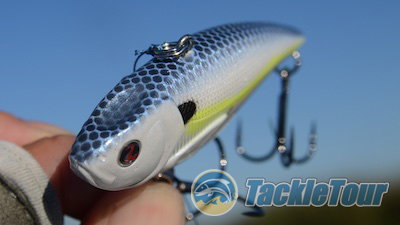 Introducing a relatively new lipless crank, the River2Sea Ruckus! Quality/Construction: River2Sea has really been upping their game over the last couple of years in terms of quality. The Ruckus is a good next step in this evolution. It's available in a limited palate of eight colors at the moment, but they're all very well executed. River2Sea even went through the trouble of molding swim fins into the side of the bait. 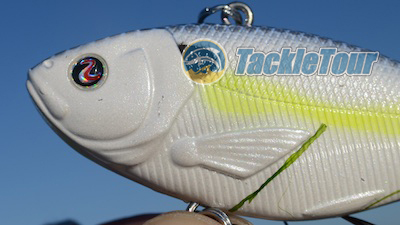 Introducing River2Sea's new Ruckus lipless crank. Performance: I threw the Ruckus primarily aboard a Dobyns Rods 806CB matched with a Quantum Tour MG spooled with 50lb Sunline FX2 braid - a combination that is really growing on me. 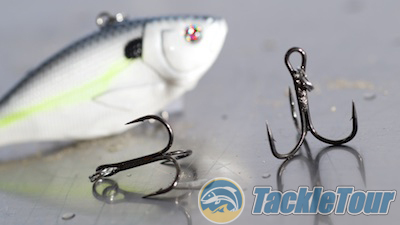 River2Sea is really upping their game as is evidenced by the detail included in this new bait. Castability: Launching any three quarter ounce (3/4oz) lipless crank with any 8' cranking rod is really asking for trouble if you don't have a reel that can handle the potential distance. Fortunately, I had plenty of line - barely - on my Quantum Tour MG to validate what I had already assumed. The River2Sea Ruckus casts like a bullet! 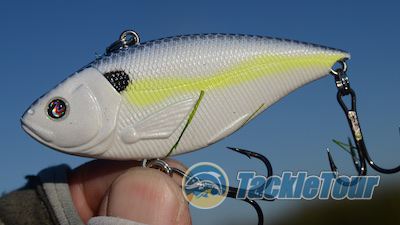 That little dimple in the diving surface of the Ruckus likely enhances the bait's action. Slow and High Speed: Lipless cranks were built on a reputation of being loud and shaking a ton while in the process of being loud. 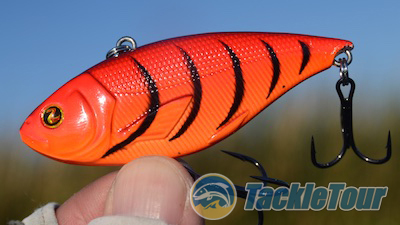 The Ruckus is appropriately named because you can hear this bait coming through the water at high or low speed and it really shakes your rod while in the process - especially if you're using braid, which I was. 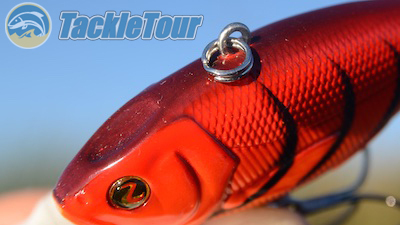 A look at the clean, craw pattern. Yo Yo Action: During a ripping, yo-yo style retrieve, the Ruckus falls with a pronounced head down position, and the body shimmies as it descends. Rip it up, let it fall, and it repeats this action consistently. Another look at that dimple. Position at Rest: Once the Ruckus hits bottom, it falls over like the majority of lipless cranks. It would be unfair for a bait this noisy to also rest on the bottom swaying its tail daring those green fish to strike it. The Ruckus comes equipped with River2Sea proprietary hooks.